I made these modest recordings of a few traditional Jewish songs with a tape four-tracker back in the late 1990’s. I remixed them, transferred them to digital, and kept them “hidden” somewhere on my computer. Then, about 5 years ago, I remastered them lightly and kept them hidden until now. Here they are. Enjoy! 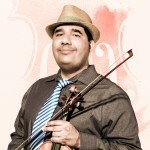 Listen to some of Rigo’s Classical music here.